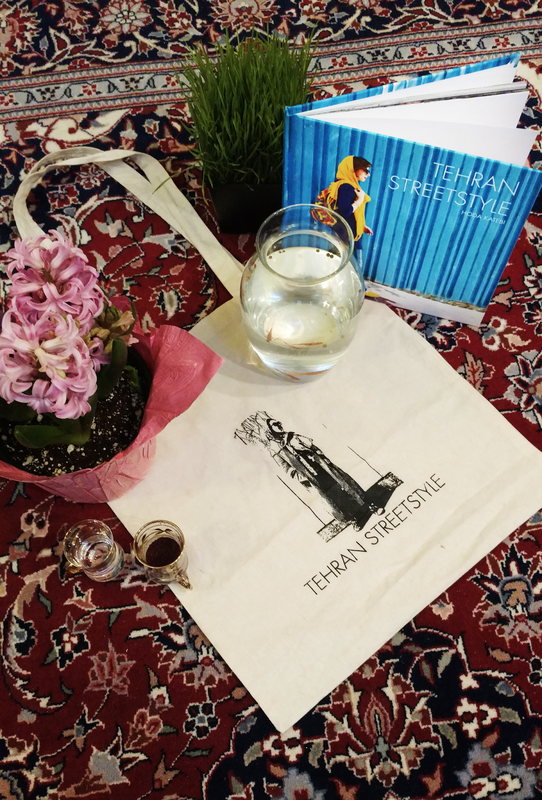 Persian New Year Giveaway: Tehran Streetstyle Book + Tote! HAPPY NEW YEARS & START OF SPRING! Today, around the world Iranians, Albanians, Kurds, Afghanis, and others are celebrating Nowruz, or "New Day," in Farsi, marking the start of spring, new life, and a new year! For 13 days we celebrate by going on picnics, jumping over fire, spending time with family and friends, reading poetry and prayers, cleaning, eating too much, giving gifts, and setting the haft-sin. The latter two of which we're going to celebrate with you today! The haft-sin, which literally translates to "Seven S's" is a table arranged with 7 symbolically significant objects that begin with the letter "s." If you peeped my instagram story yesterday, you got a little taste of what that looks like. + Hyacinth flowers ("sonbol") | Also if you follow me on the 'gram you're probably sick me hearing me go on and on about these flowers in English and Farsi while driving (and somehow not get in an accident). They represent spring (and life)! After our haft-sin is all set and ready to go, we're ready to start the gift-giving and jump back into our JooJoo Azad tradition: an annual Nowruz giveaway! 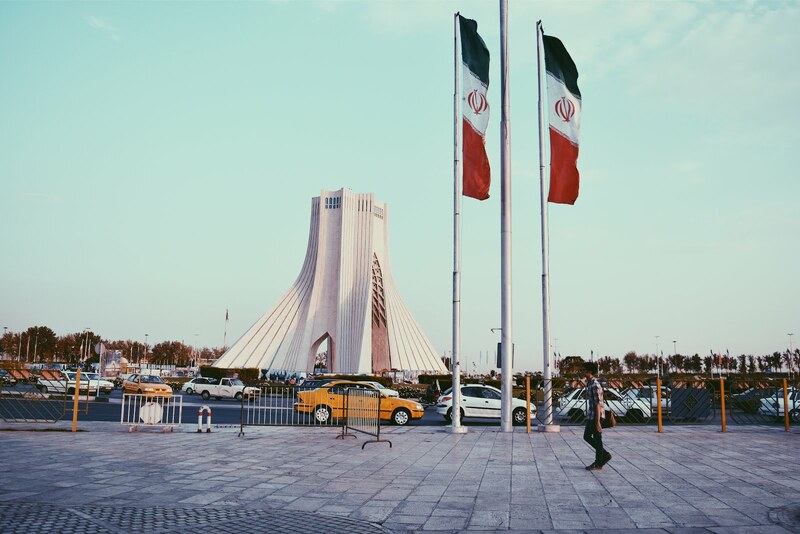 This year, we're giving away 13 packages that include: a signed & personalized copy of my Tehran Streetstyle book, a matching organic cotton tote bag, and three 8"x 8" prints from the book! 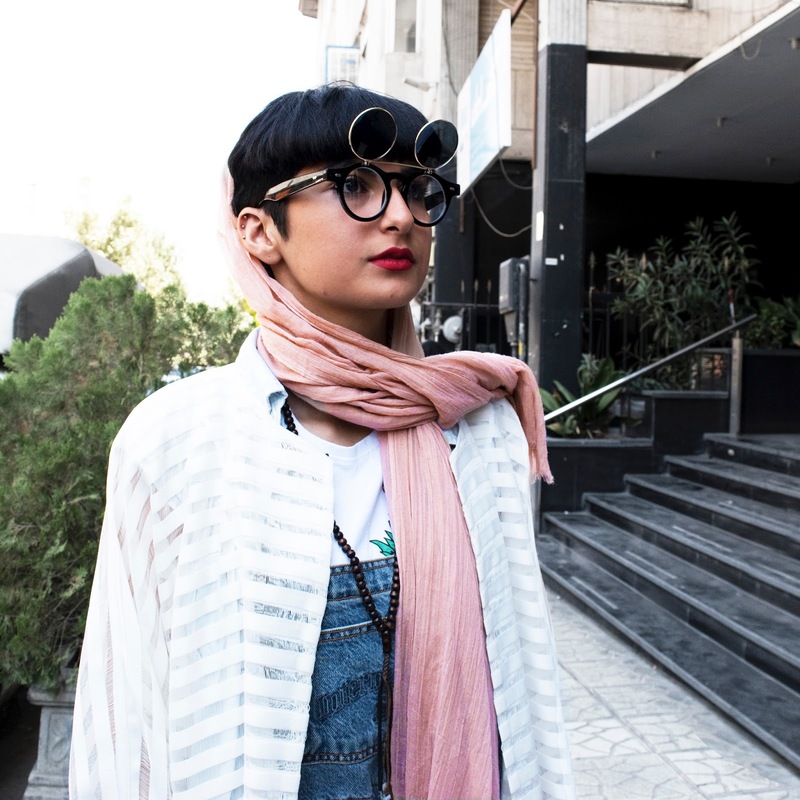 Tehran Streetstyle is the first-ever collection of modern (mostly underground and illegal) fashion photography from the streets of Tehran, Iran! This book challenged Western Orientalist misrepresentations of Iran as well as domestic Iranian dress code regulations! We've photographed designs and streetwear from the top underground fashion designers and the young people who are setting the bar in fashion and design in Iran! 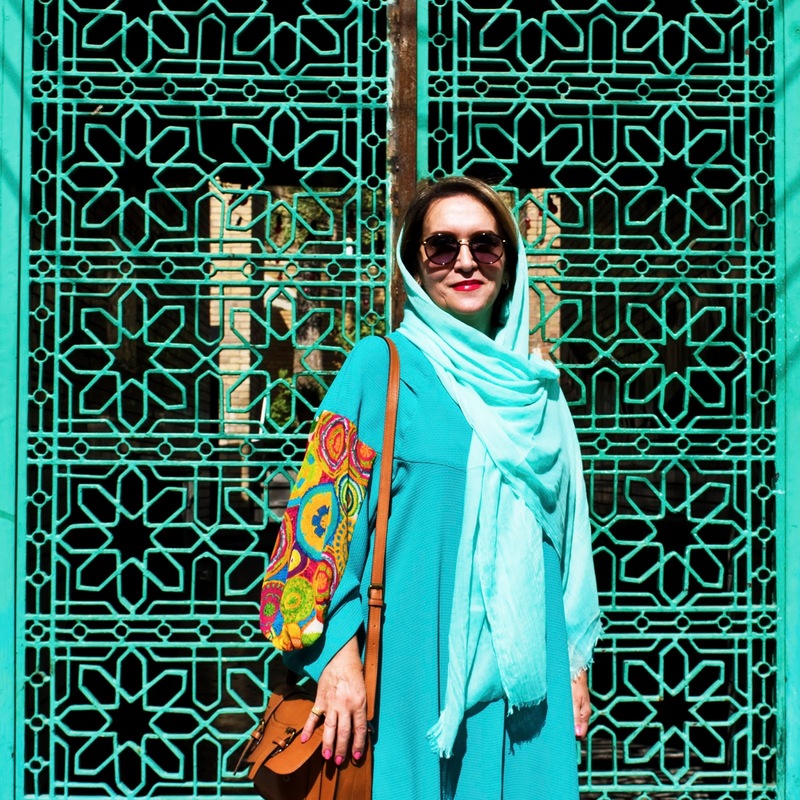 You can read more on Tehran Streetstyle here, or listen to my interview about it on NPR, here! 1. Share the above feature image -- or any of the photos from the book below--on Facebook, Instagram, or Twitter. 2. As the caption write (at least) one thing that you've learned from reading JooJoo Azad the past year. 4. Get hype! We're so excited to be growing, celebrating, and starting a new year with you! There will be 13 winners so we can't wait for you to get your hands on a copy! The giveaway will run for 13 days (marking 13 days of Nowruz celebration!) and end April 2nd, 2017 at 11:59pm CST. It is open internationally! + Prior to Western/European contact Iranian culture was largely homosocial. Homophobia was imported by the West into Iran. 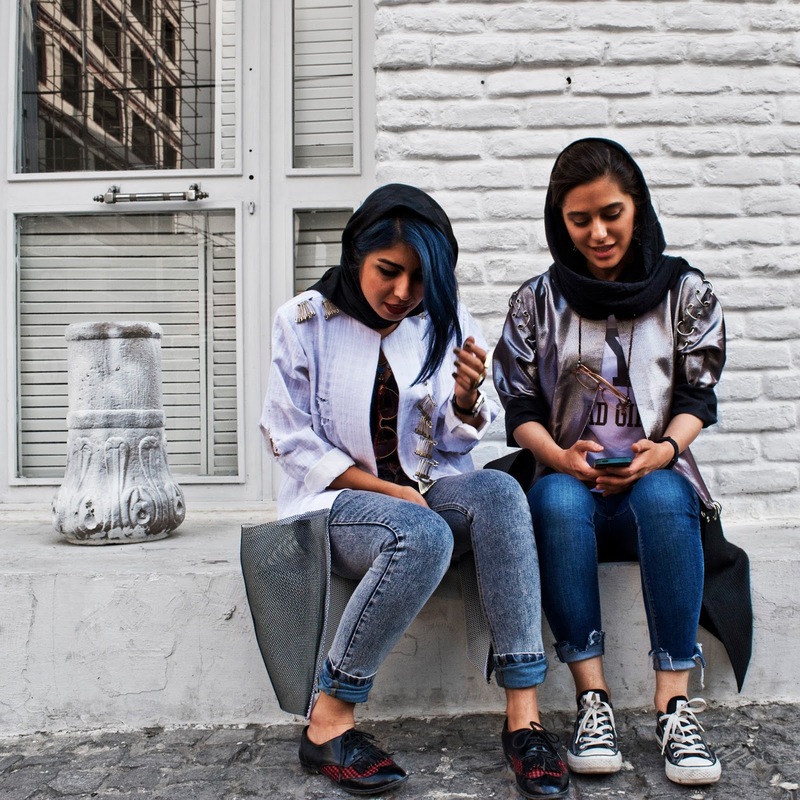 + The underground fashion scene in Iran works on a slow-fashion model of production that is infinitely less destructive and harmful than the large, trans-national fashion companies that dominate much of the rest of the world! The purpose of this is giveaway is obviously to educate people on one of the #MuslimBan countries -- countries whose people are banned from entering the United States on nothing more that anti-Muslim racism. Educate your people. Good luck, and can't wait to see your posts! Nowruz Mobarak! Happy New Years!